Made in Germany unlike many machines out in the market made in China…And it’s greatest feature is it’s Pain Free! 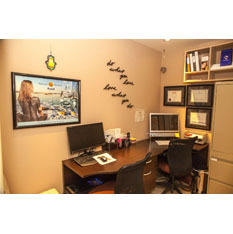 Today, laser hair removal is one of the most common cosmetic procedures performed in Canada. 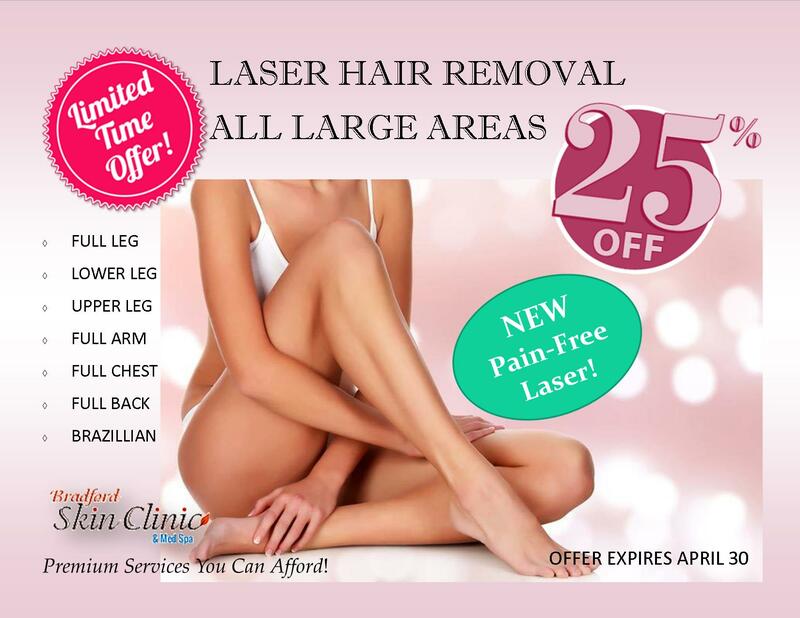 Laser hair removal uses a laser wand to remove the hair directly from the hair follicle with the help of a simple beam of light. The pigment in the follicles are absorbed, thus eliminating the hair. 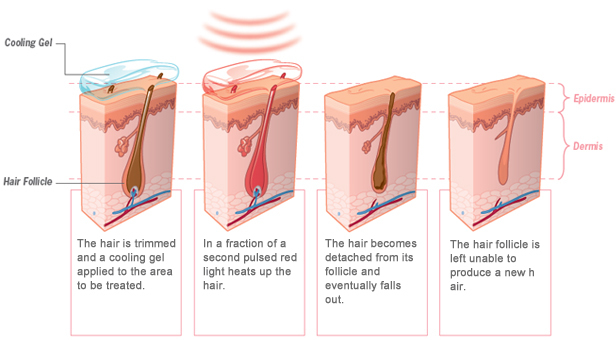 Each pulse of light lasts only a few seconds and can treat a patch of hair – not just a single hair. Rather than pulling the hair out by the root, or shaving it off at the skin, laser removal destroys the hair follicle, preventing any new hair growth, one hair at a time. The laser is so precise, it can target coarser patches of hair while leaving the surrounding skin totally undamaged. Small areas such as a woman’s chin may be treated in just a few minutes whereas a broader area such as a man’s chest may take up to an hour. And the results? You’ll be amazed … you’ll wonder why you didn’t do it sooner! No more embarrassing hair. 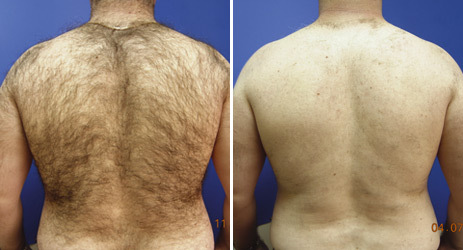 Laser hair removal is much more effective than the over-the-counter gadgets available on the market today. However, the results will vary slightly based each client’s skin type, hair characteristics, treatment area, gender and age. Dark, coarse hair and light skin generally yield the best results. White, gray and blonde hairs do not respond as well to treatment. 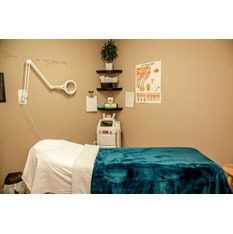 Laser hair removal is not for children, pregnant women, those with pacemakers or metal screws in the area to be treated. If you are a sun bather, you may want to avoid the sun for a couple of weeks before your treatment. Certain medications such as RetinA or Accutane may need to be stopped in advance of your treatment. 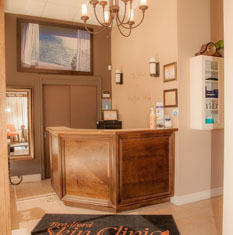 The Bradford Skin Clinic & Med Spa is committed to provide you with a relaxing experience.You will be comfortably laying down when the procedure begins. If you are having hair removed from your face, you will be provided with eye protection. Our aesthetician will apply a cool gel to your skin, which will protect the outer layers of your skin and help the laser to penetrate your skin. The lasers itself will feel like little pulses of light. Our clients report it feels like a rubber band snapping. . Our aestheticians may adjust the settings based on the coarseness of your hair. You’ll be able to resume your normal activities immediately. You may want to avoid sun tanning and using the Jacuzzi for at least 24 hours. The number of sessions depends on the type of your hair and area of the body. Roughly 1-3 weeks after each treatment, clients typically notice 10-20% less hair regrowth. 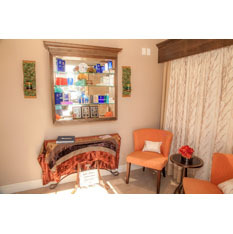 Optimal results are typically seen after 6-8 treatments. If you’re looking to do a larger part of your body, you may also need to get it done in sections. 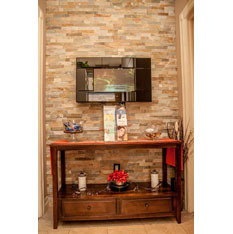 Don’t forget you will need some downtime in between each session. Can anyone perform laser hair removal? Absolutely not! At The Bradford Skin Clinic, our aestheticians are credentialed and have been specially trained to use the UltraPlus laser technology. 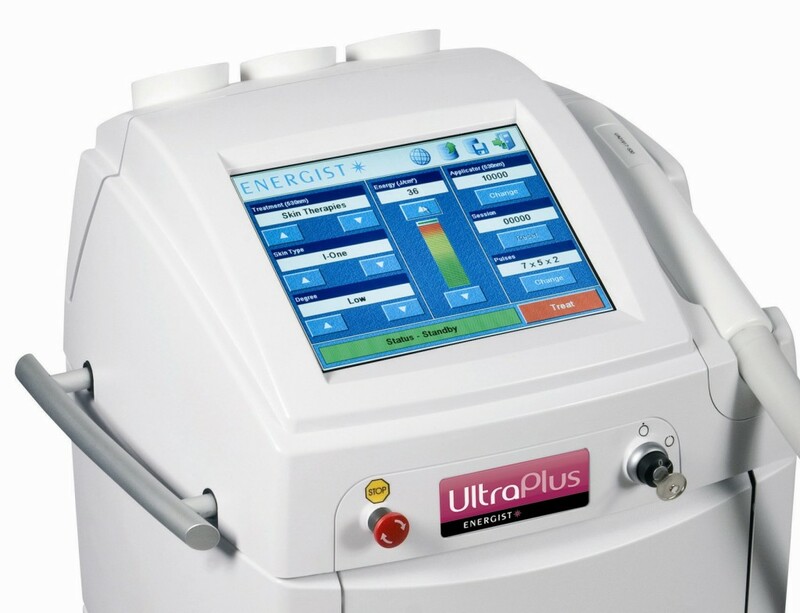 We conducted extensive research before deciding on the VPL UltraPlus technology, which is also ideal for photorejuvenation, skin tightening, acne, thread vein removal on the face and body. Consider a hair-free existence. 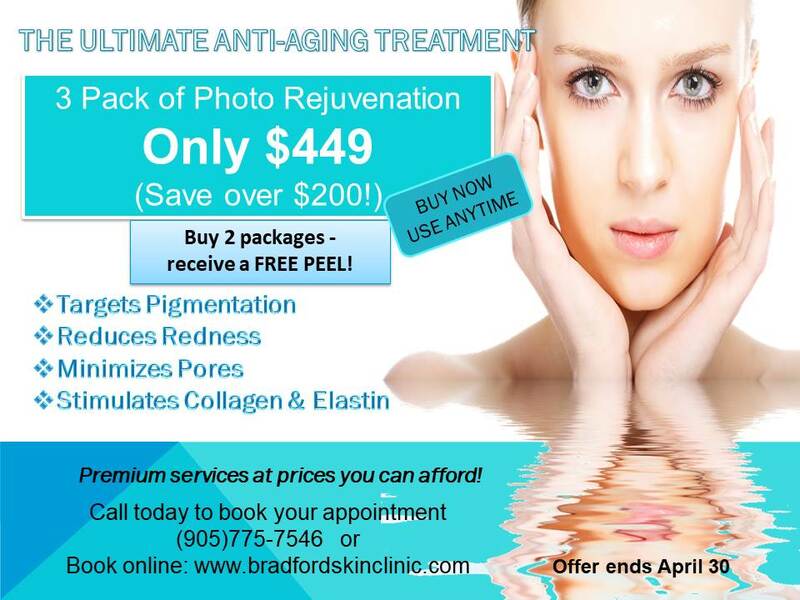 For a free consultation in a relaxed, private setting, contact Bradford Skin Clinic & Med Spa by telephone at (905) 775-SKIN (7546) or by email at info@bradfordskinclinic.com. 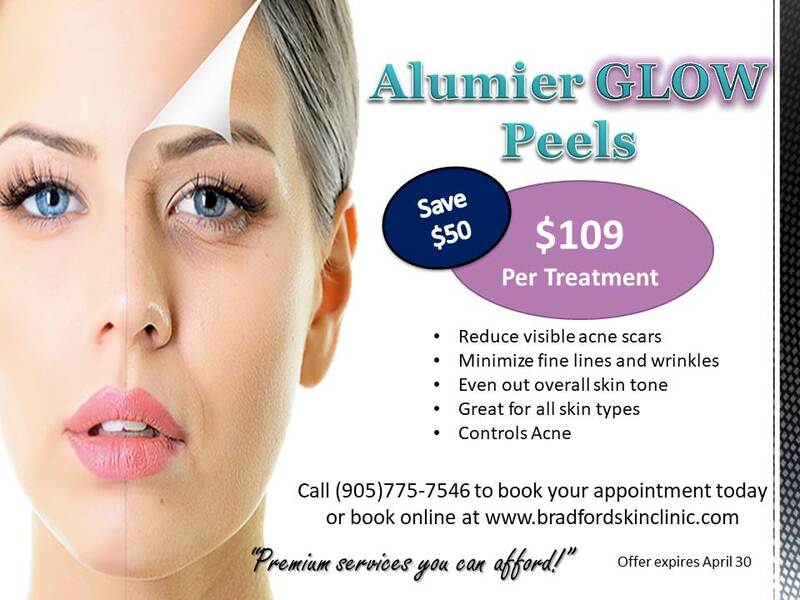 With the latest technology and most effective treatments and products at our fingertips, we can customize a treatment plan that is ideal for you and your skin.